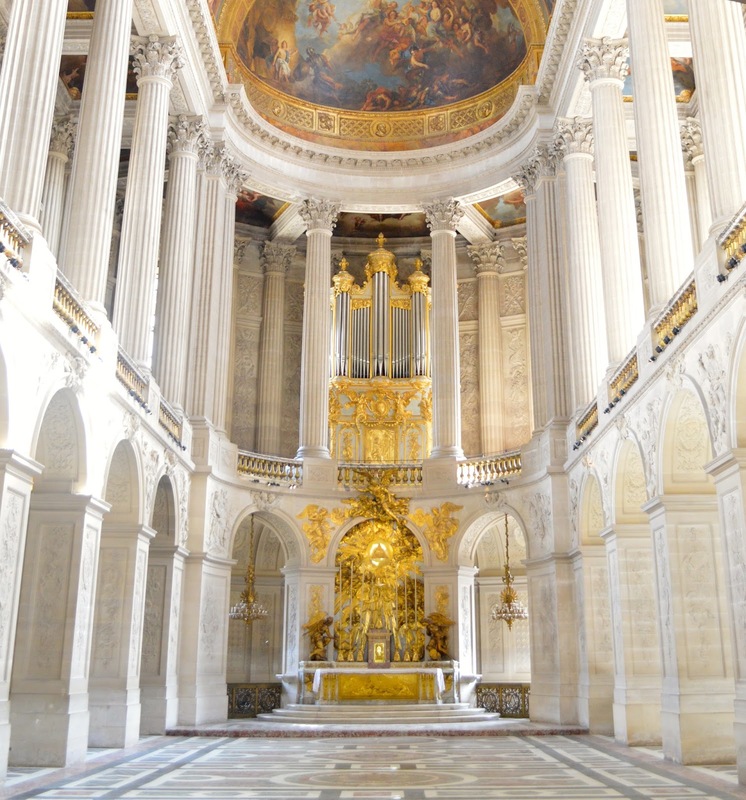 This is the Royal Chapel located inside the palace which was used for the King's mass. This is one of the larger, more simplistic rooms which I couldn’t take my eyes off of. Everything from the floor tiles and steps, to the crisp pillars and tasteful coloured detailing just make my heart flutter. I made the conscious effort to look up when visiting the most famous landmarks in France, since many of the important and intricate ceiling details can be easily missed. In the Château, for example, the ceilings have some of the most impeccable paintings and gilded mouldings. The Hall of Mirrors is one of my favourite rooms since I am always enchanted by crystal chandeliers and rustic gold details. Walking through the glittering afternoon sun bouncing of the mirrors in this room is sure to make you feel like royalty. The gardens in Versailles. No words or pictures can accurately represent their exquisiteness. If there is anything the French do exceptionally well, it’s flowers and gardens. My sister Lauren looking quite lovely in front of the cloud-brushed sky. Yes, that is real. I can’t even imagine the work that goes into maintaining the Chateau de Versailles and its surroundings gardens. There really isn’t anything like it anywhere else in the world. My petit souvenir from the Château is a pretty pink box of Marie Antoinette tea satchets from Ladurée. The taste is divine, mixing black tea with honey, fruit and flower aromas. Although I have been loving summer, I can't deny that the thought of warm tea and clothing makes me excited for the upcoming autumn months.